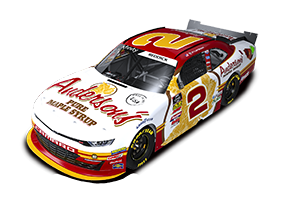 Anderson's Maple Syrup was the primary sponsor of JDM's Chevy Silverado for the 5th time this season in the UNOH 200 at the Bristol Motor Speedway on Wednesday, August 22. Hornaday qualified the truck in the 17th position, but used a strong run to finish the race 8th. The race was broadcast live on SPEED. Click here to view information about the shopping spree.